In somewhere as stunning and unique as The Bahamas its no surprise that many of the local activities and attractions are centered around the ocean. 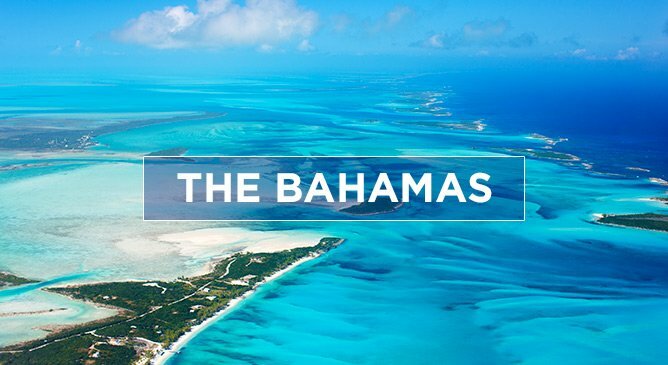 With everything from museums to water sports, you will have plenty of activities to enjoy the best of The Bahamas. With beaches straight out of paradise and water temperatures averaging 27 degrees, you can be guaranteed excellent beach time year round in The Bahamas. Relax on the beach and take a dip in the heavenly emerald green, turquoise waters. Sounds just perfect right? Learn all about the rich history of Bahamian life on a cultural tour. Explore Nassau’s historic forts including Fort Montague and Fort Charlotte, learn about centuries old celebrations of life and learn the ways of the locals. Its all possible on a cultural Bahamas tour. The Bahamas are home to 25 national parks and conservation areas. Each of the parks range in size and some of them are home to rare species of animal including the Abaco Parrot and the West Indian Flamingo. Inagua National Park, the Exuma Land and the Sea Park are the most known national parks and conservation areas in The Bahamas and they are definitely worth a visit on your trip. They are also home to stunning underwater environments which are very popular with divers and kayakers.